I always love a bright and vibrant caponata as part of a anti-pasto platter. 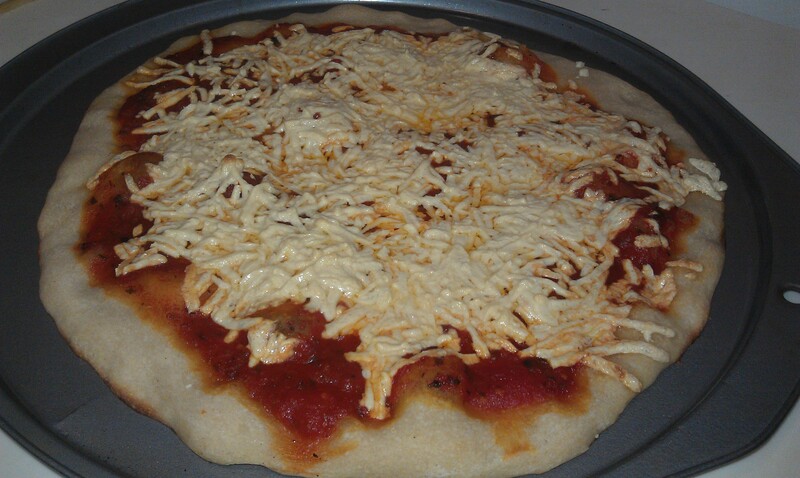 I figured why not cook one up and use it as a sweet sauce for pasta instead of just a dip. It came out super lovely! 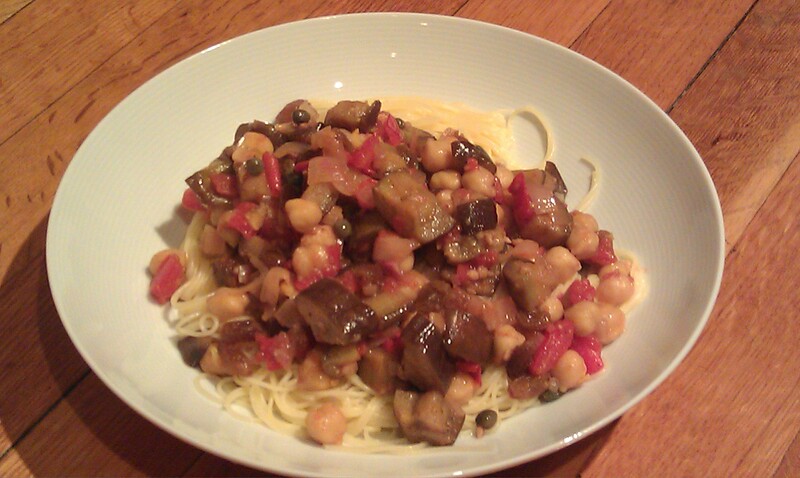 I also added garbanzo beans to make it a more substantial and complete meal. You could also just serve this as a dip with pita wedges or chips. Place the raisins in a bowl and cover with hot water. Set aside. Pour the canola oil into a large non-stick skillet over medium-high heat. 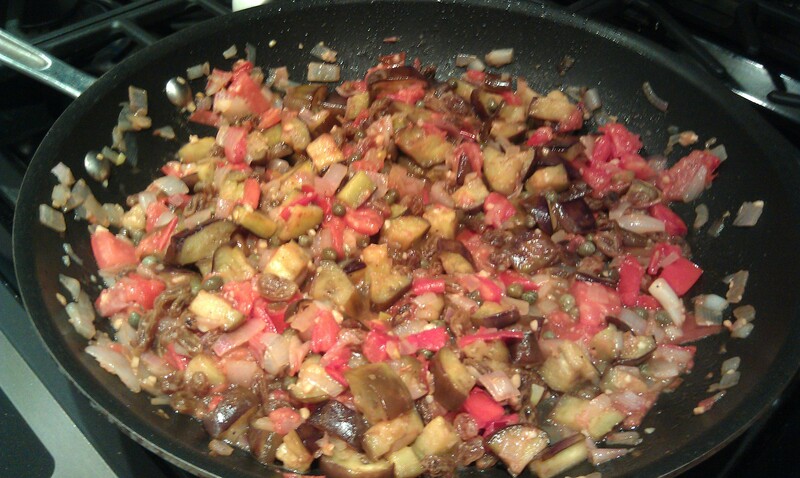 When hot, add the eggplant cubes and cook for 10 minutes, turning occasionally, until browned on all sides. Remove with a slotted spoon and set aside. Turn heat down to medium and pour the remaining tablespoon of oil into the skillet. Add shallots and cook until soft, stirring often, about 2 minutes. Add the garlic, and cook for 45 seconds. Then add the tomatoes and cook for 2 minutes, stirring occasionally. 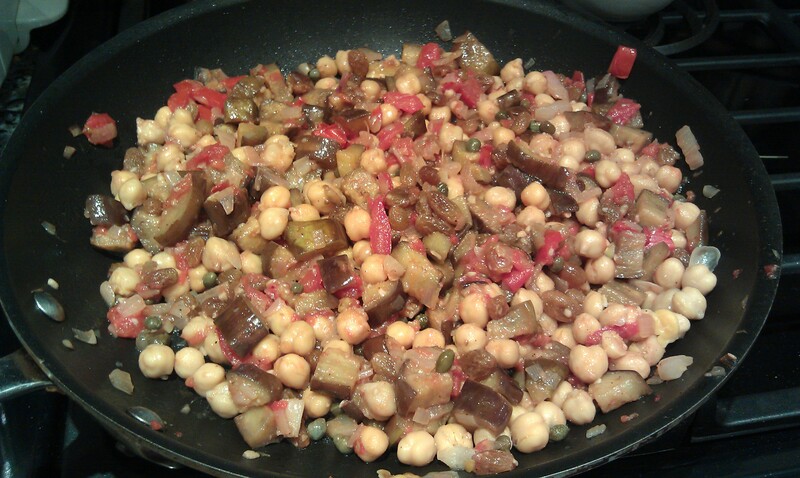 Add the eggplant back to the skillet and the garbanzo beans. Add the vinegar, raisins, and capers, stir cooking for 2 minutes to cook down the vinegar. Turn off the heat. Season with salt and pepper to taste and stir in the parsley. 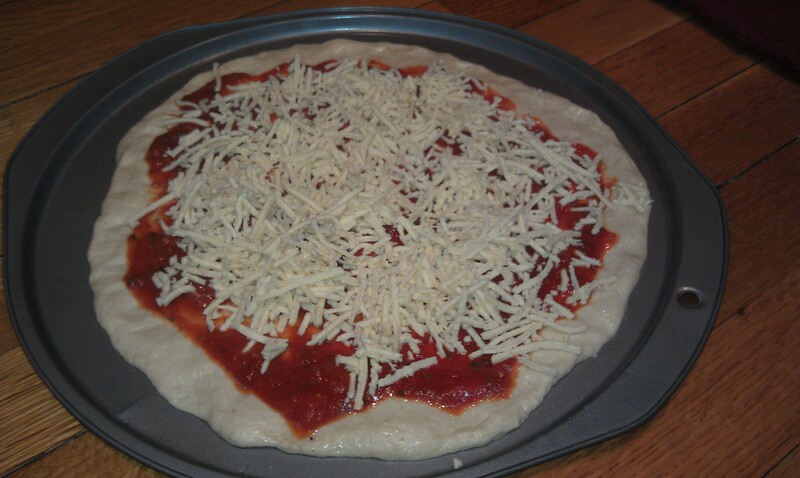 Let it cool slightly before serving over pasta.